Do you watch Burn Notice? If you do, you’ll know who Sam Axe is, and that the minty mojito is mentioned frequently. If not, I suggest you mix up a few of these and look for the show on USA. We were fully immersed in the mojito when we went on our honeymoon to Puerto Rico, including the oddly silly tour of the Bacardi factory (which you should ask me about). We had all kinds: sweet, not sweet, super minty, barely minty, mint pulverized and whole. 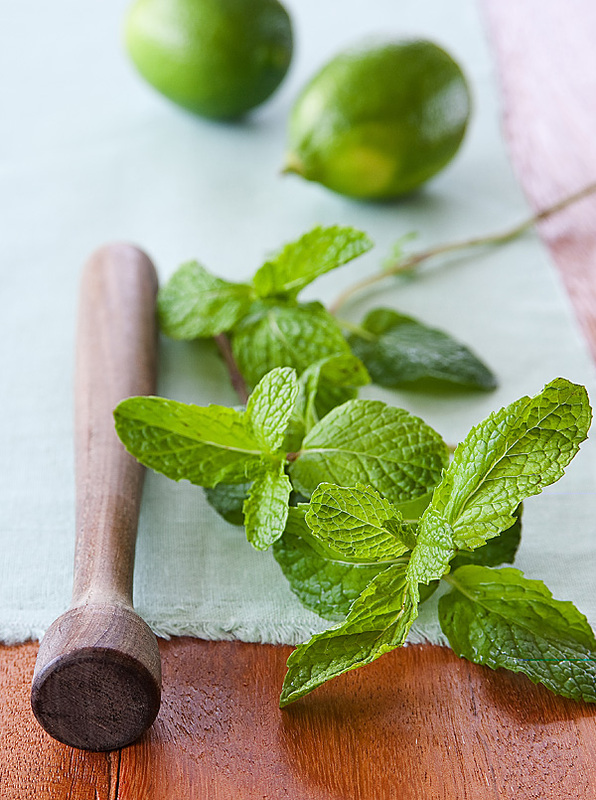 Pulling from all our experiences, we created our favorite classic style mojito; Minty, not too sweet, not too wimpy. 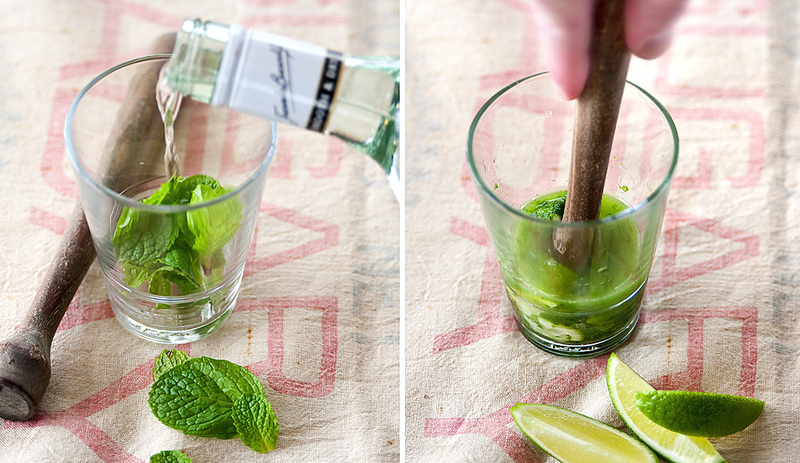 You can never go wrong mixing lime and sugar, but adding mint is what this drink is about. Thus the minty mojito, as Sam says. Take 10-15 medium sized mint leaves and place them in the bottom of your glass, pour in a splash of rum and muddle until the leaves are well crushed and the flavors are released into the liquid. (Breathe deep, the scent is marvelous, too.) Add lime wedges equal to half a lime and muddle some more to release the lime juice. Add crushed ice, 1 1/2 ounces light rum, 1/2 ounce simple syrup, 3 ounces lime seltzer, and stir. Take a sip and envision yourself on a Caribbean beach! Mint, meet the muddler. Muddler, meet (and crush) the mint. The muddling process (old Cuban sugar bag not mandatory). 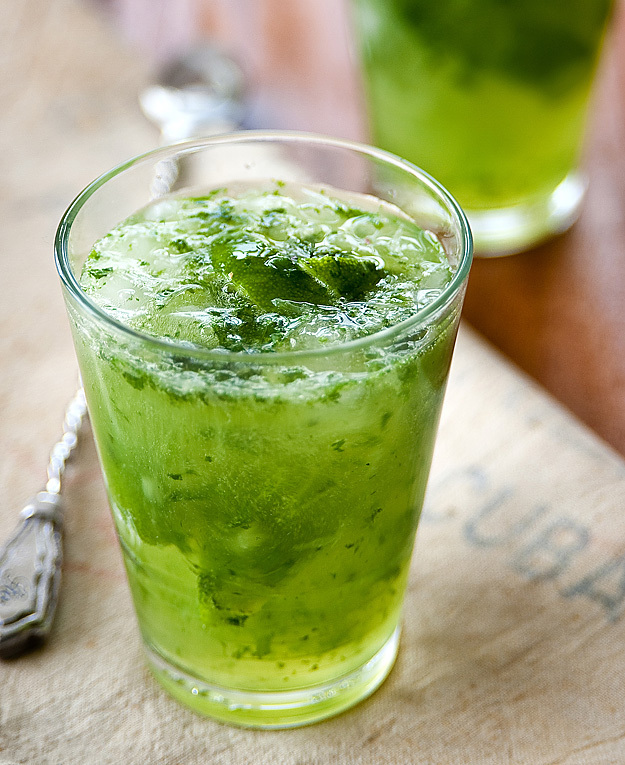 The splendidly refreshing mojito! Warm weather in a glass. 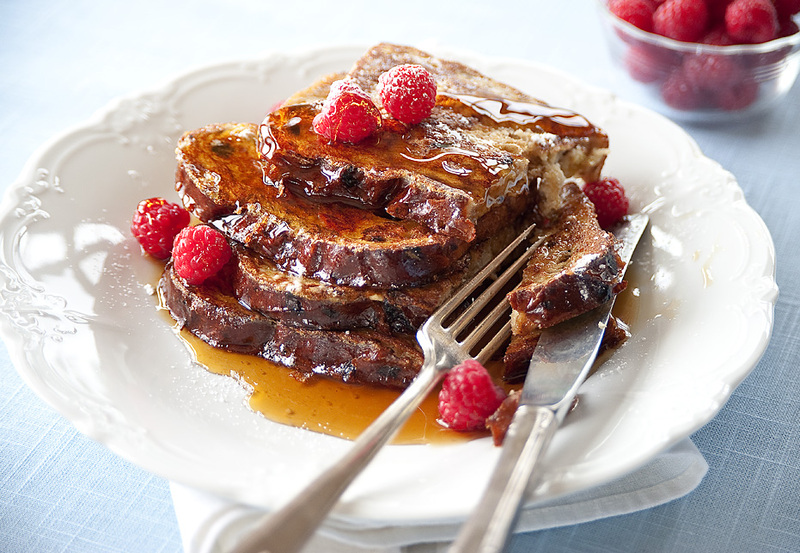 There isn’t much on the breakfast table that looks as good as maple syrup glistening French toast. Until you add the powdered sugar and raspberries! This tasted every bit as good as it looks. 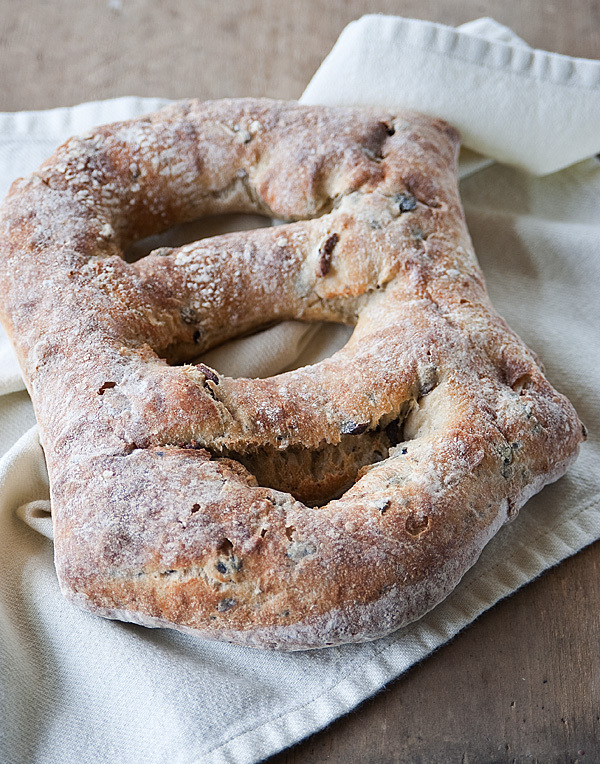 We used our left over Easter bread; a light bread with raisins and golden raisins. Being a day old, the bread soaks up the batter better. (Say that 6 times fast!) I like to cook as light as possible, so I only used egg whites and a touch of skim milk for the batter. Throw it on a hot griddle with a touch of cooking spray (once again trying to keep it light) until golden brown. Top it off with pure maple syrup, raspberries and a sprinkle of powdered sugar. Mmmmmmm. We decided to have some Tart Cherry Stomp to go with our French toast. This was our first time trying this 100% fruit nectar. Yum…tart and sweet, a great combination. Good morning to you!! 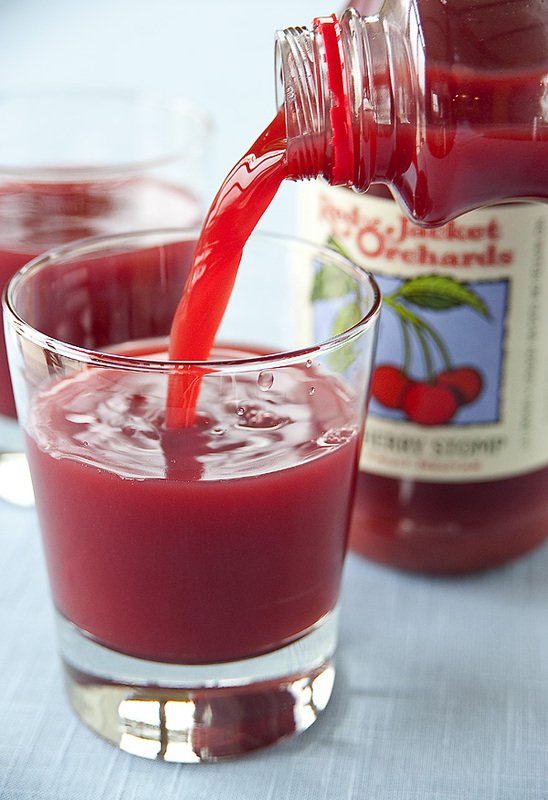 Tart Cherry Stomp from Red Jacket Orchards, in Geneva. 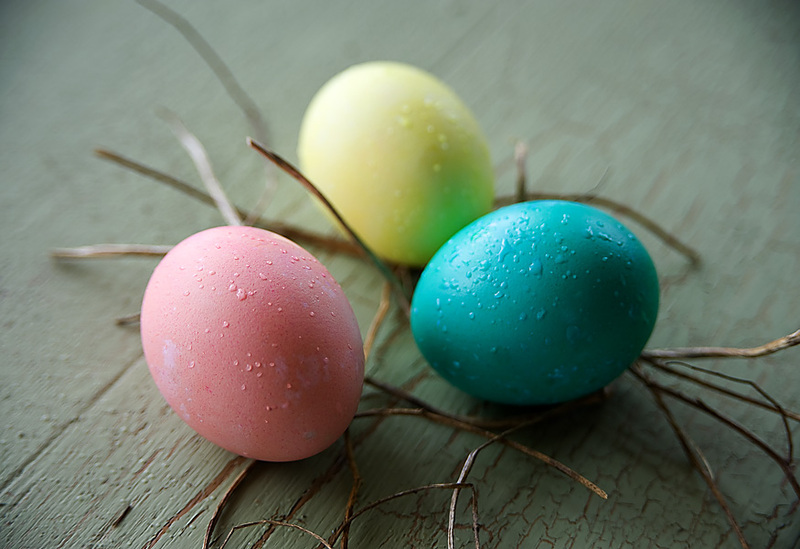 I just wanted to offer up a few hard boiled Easter eggs that our 3 sons colored, as an Easter morning treat! We’ll be eating the egg whites shortly….sprinkled with salt and pepper and a touch of hot paprika. Here’s hoping you get a few of your own. Enjoy some time with your family! 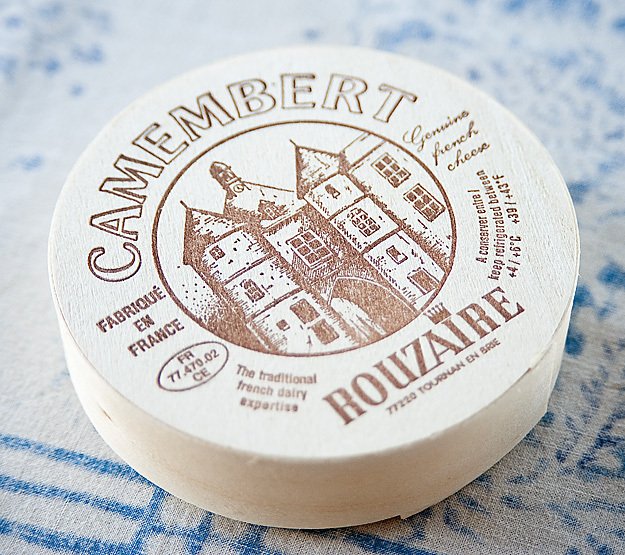 French camembert. 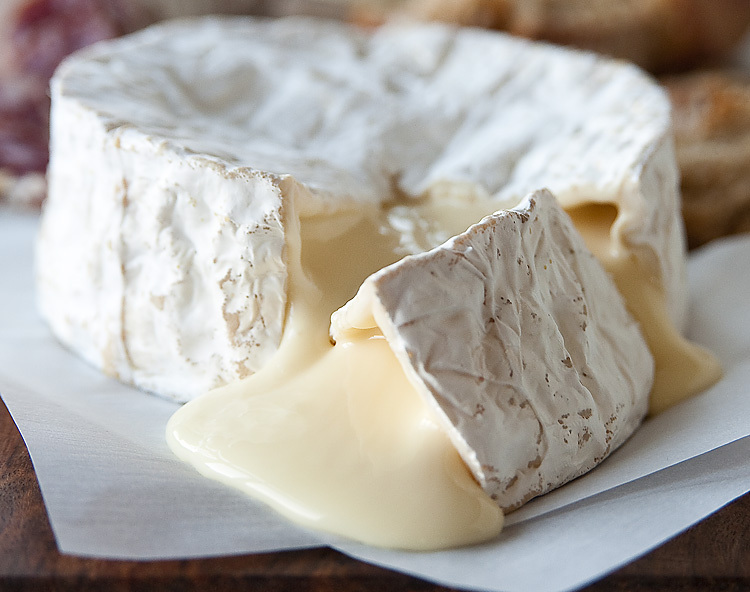 Gooey, earthy, creamy, pungent French camembert. Ours was super ripe, enhancing all the flavors and textures. If you don’t like strong cheese, this is probably not for you. If you have a slightly adventurous palate, then I highly recommend it! Grab some crusty bread, maybe an artisan salami, some wine, and you’re in for a treat. Heather and I decided to do a wine pairing experiment, picking a French red and a French white to go with our fromage. 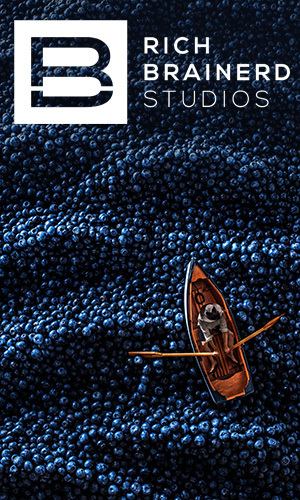 This, if I may say…was a fantastic idea. First up was the 2004 Chateau La Guillaumette Bordeaux. 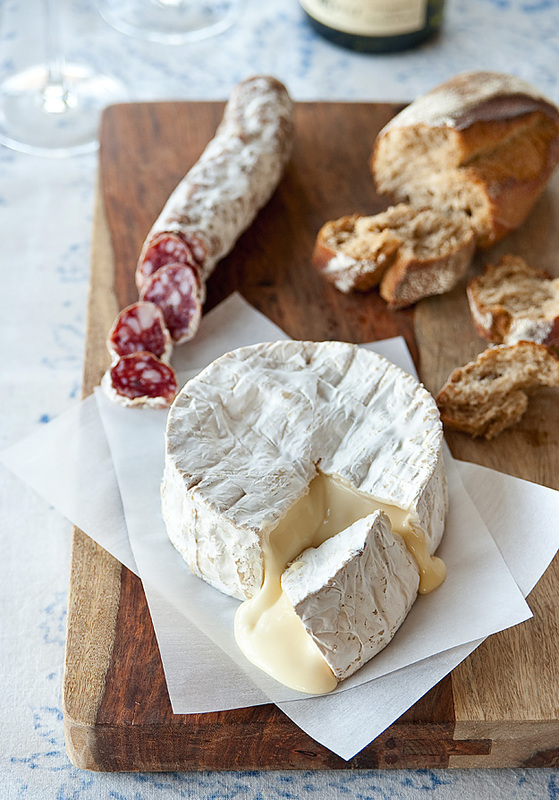 This medium-bodied, balanced wine brought out the earthiness of the camembert. It was an excellent pairing, and was enhanced by the food. I probably would have preferred this had the cheese not been so ripe. 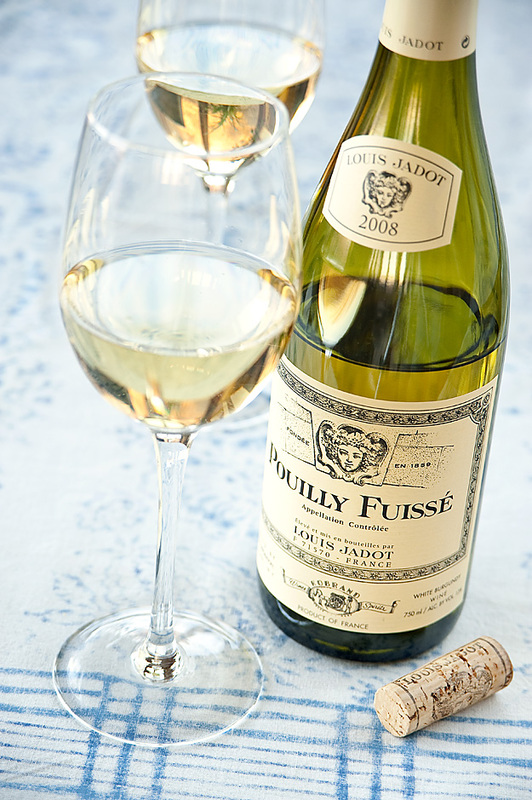 Our second wine was a 2008 Louis Jadot Pouilly Fuissé. This lightly oaked chardonnay was an excellent match, as well, and brought out the creamy, buttery flavors in the cheese. We both preferred this wine, as it was a better balance with the rather strong cheese. What started as a little experiment turned into an excellent dinner! Just look at that ooze.....very ripe. 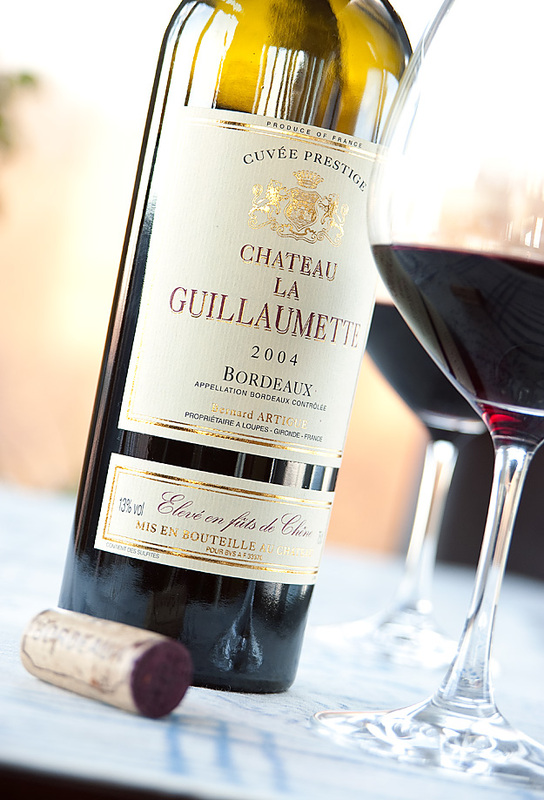 2004 Chateau La Guillaumette Bordeaux. 2008 Louis Jadot Pouilly Fuissé chardonnay. The French know how to make cheese! 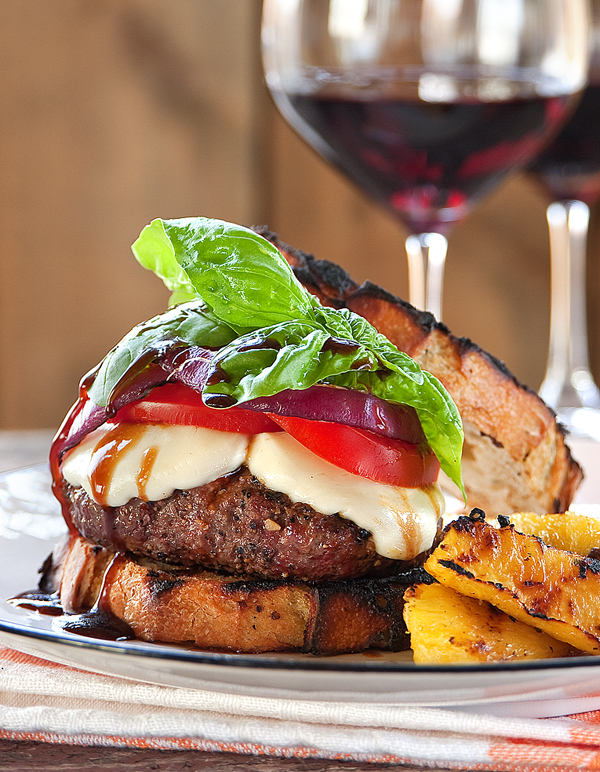 The juicy, finger-licking good caprese burger! It’s fun to make a burger that’s way bigger than you can easily take a bite out of. It just looks really good! But then…you have to eat it. So, you smush it down, with the juices and dressing dripping all over, and take a bite. It’s so flavorful and finger-licking good, you don’t care what a mess it is! Using irradiated ground beef has become mandatory for us. You can use the 90% lean (to keep it almost relatively healthy), cover it in spices of your choosing, cook it medium, and it’s incredibly juicy and flavorful. Next choose your toppings. For the caprese burger, we used fresh mozzarella, grilled onions, tomato, and fresh basil topped with balsamic vinaigrette dressing. As an added bonus, the “bun” became grilled rosemary olive oil bread! Skip the fries and grill some fresh pineapple wedges for a healthier side. This will be the first of many burger posts for the upcoming summer season. Let us know what you’d like to see on the next one. Cheers! 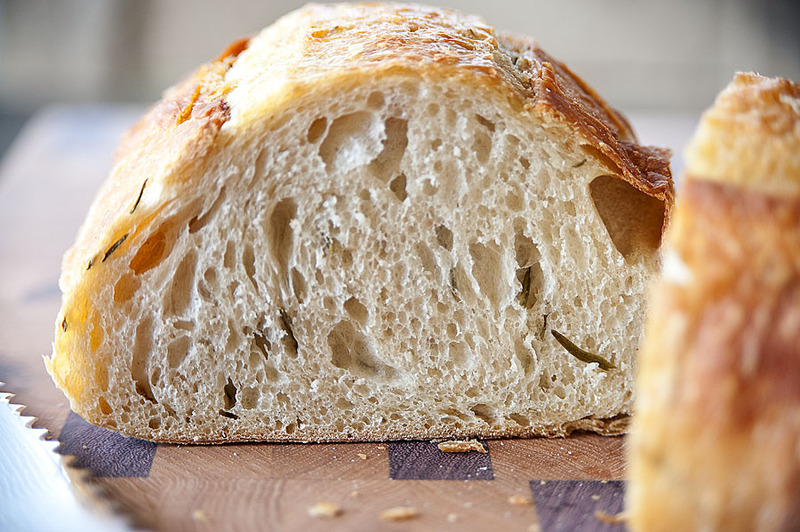 Rosemary olive oil bread becomes the perfect "bun". 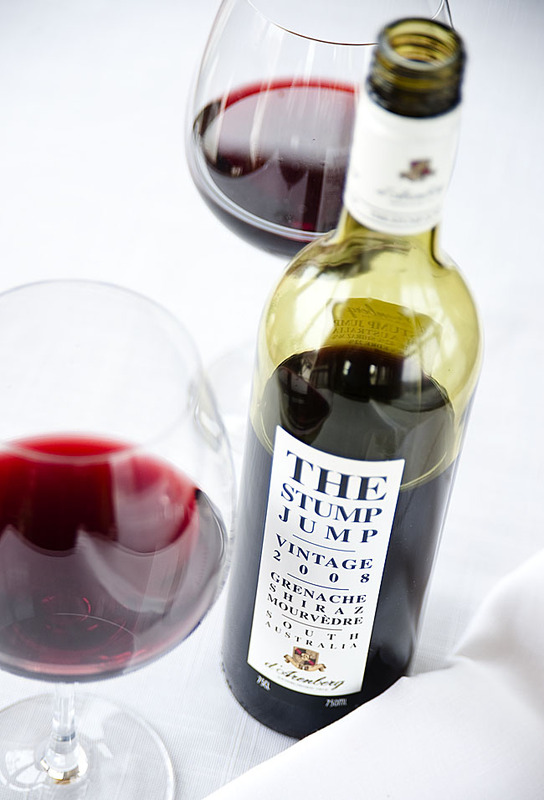 2008 The Stump Jump, G.S.M. 90 points in Wine Spectator and a great match for the burger. What a title, right? But that’s what we say…Let’s go to Food! Food at Fishers Station. If you haven’t been, just know that you will wait in a line outside -whatever the weather may be – and it will be worth the wait! 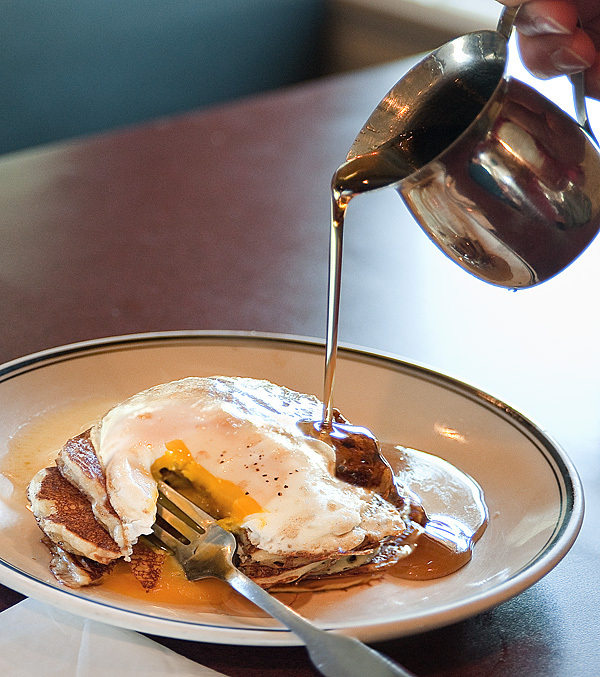 All I can really say is… it’s truly amazing how good the pancakes are. I can’t properly explain how they just melt in your mouth… or how much my mouth was watering as I was quickly taking these pictures. I didn’t plan this shoot ahead of time, but I figured if we were lucky enough to get the table by the big window, it would be easy to grab a few shots. That table wasn’t available, and we ended up at the counter in rather dim light. 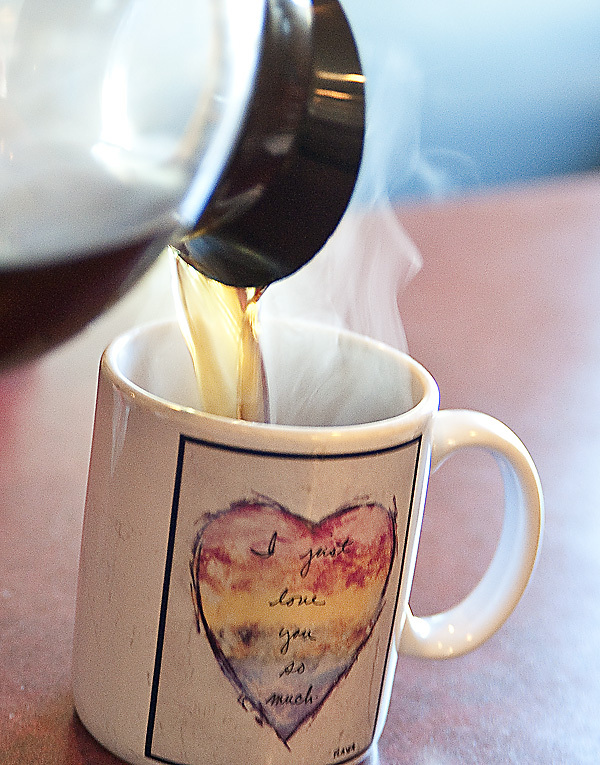 That turned out to be a real treat (despite the very slow shutter speeds). We got to watch the Stewart family and crew in a swarm of activity, masterfully handling the crowd (and this crazy guy with a camera, taking pictures), being ever hospitable. Breakfast perfection included the 2-2-2: two pancakes (looks like more than 2 to me! 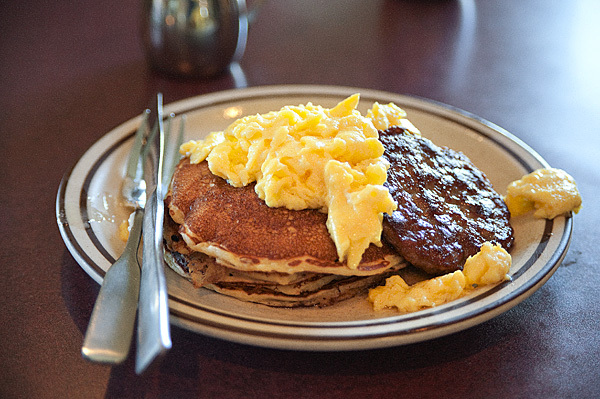 ), two eggs, and two sausage patties, and the short stack (not so short either) with an egg on top. My suggestion: Go there (7548 Main Street, Fishers, NY), check on the hours (they are limited Thursday – Sunday), bring cash, be prepared to wait in line, and enjoy! The 2-2-2, two pancakes (actually more! ), two eggs, and two sausage patties. 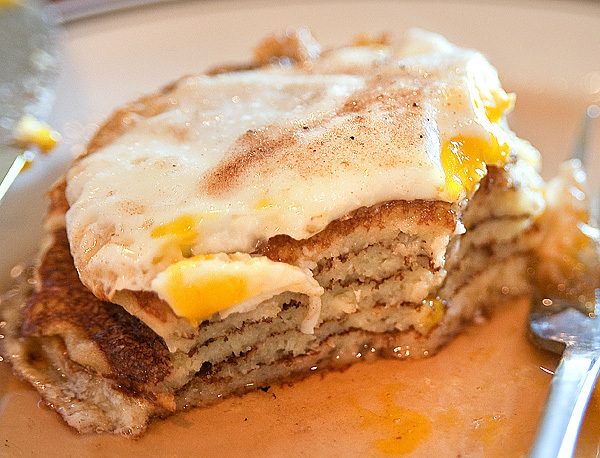 Short stack with an egg on top! Is this stack really short? Nope. And its fantastic! What a simple delight. 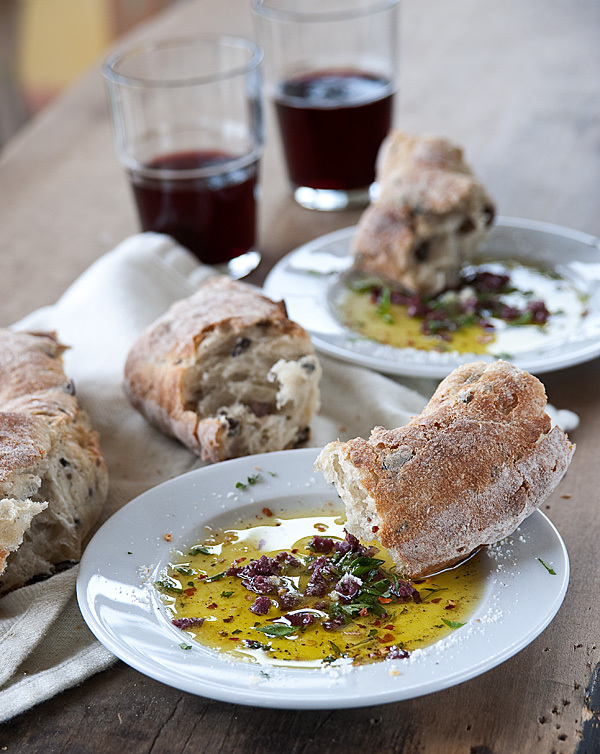 Any crusty bread would work wonderfully for this tasting, but we love the olive bread from Wegmans. 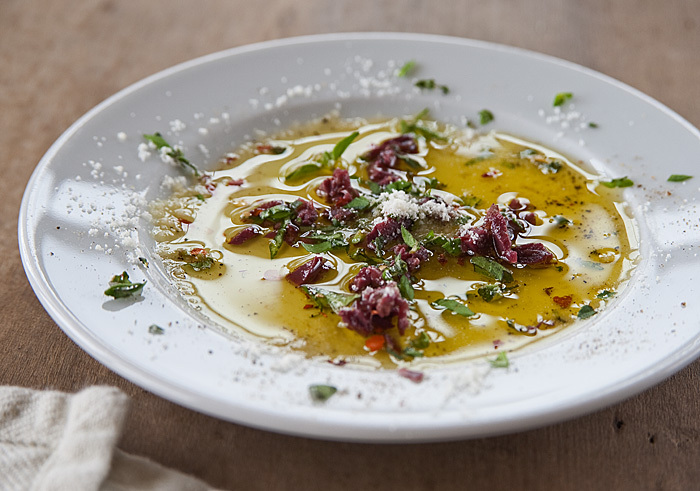 Even though fabulous on its own, creating an olive oil dip takes it to another level. 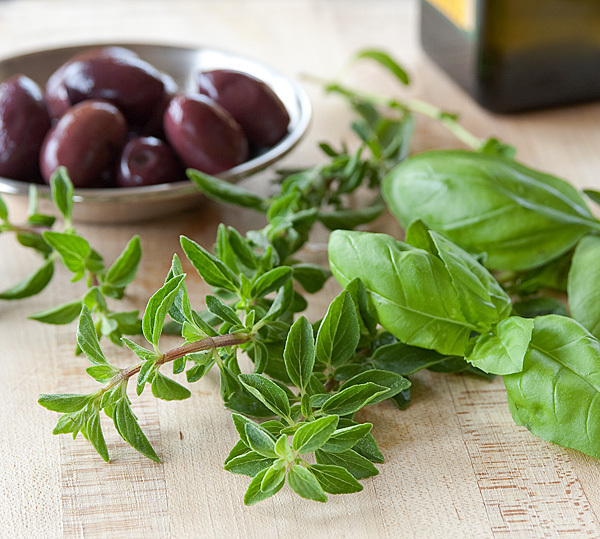 Chopped fresh oregano is my favorite ingredient to add to a high-end extra virgin olive oil, along with chopped kalamata olives, chopped basil, crushed red pepper, grated parm, salt and pepper. Splendido! Add a nice red and you almost have dinner.